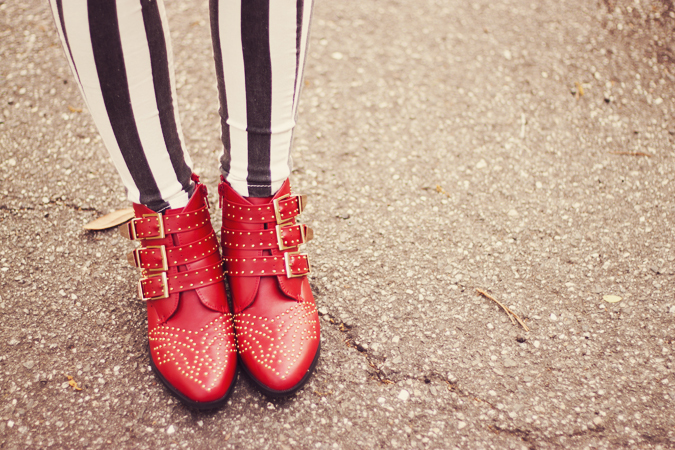 Today I let out my inner rock-n-roll junkie with my new striped pants and my red studded boots from Boohoo! They are both so incredibly comfortable and so cute at the same time! I know it doesn't seem my style AT ALL, but believe it or not I've been eyeing some boots and pants like these for a while now! The first time I saw some of those striped pants, I automatically started keeping an eye out for some, because they totally remind me of an outfit Steven Tyler used to wear, and I am in love with his style and want everything that looks like something he's worn or would wear, of course. 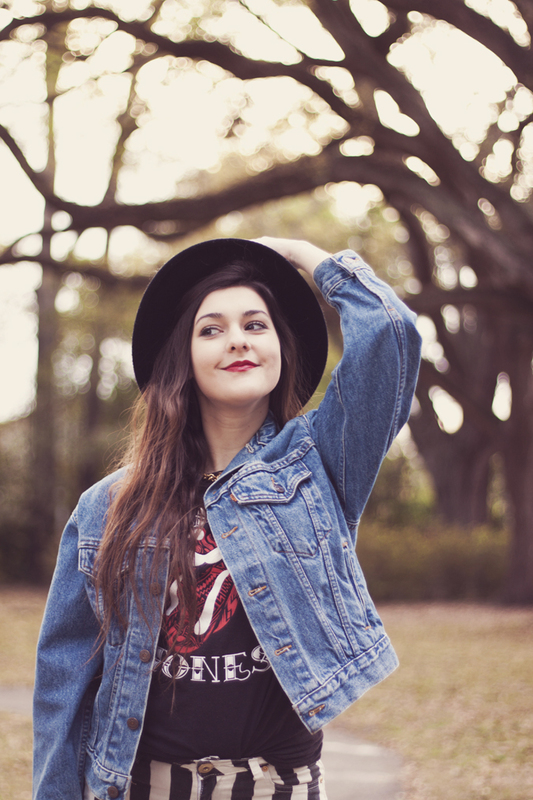 Anyways, I am completely obsessed with this outfit and, I'm not gonna lie, I feel pretty cool in it too! Haha! I am in love with this outfit from head to toe!! how cool ;)specially the pants and shoes! I love this! 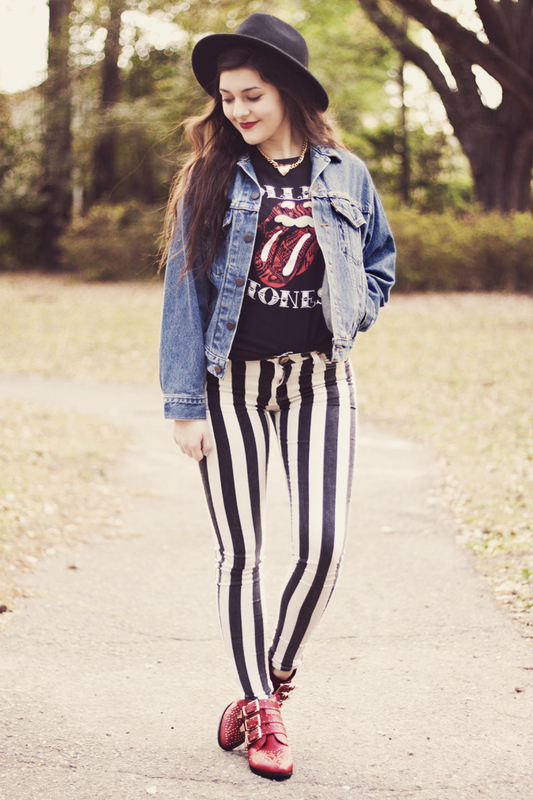 Your striped jeans are so cool and look perfect with the Rolling stones t-shirt and jean jacket.